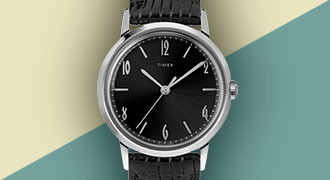 We are partnering with other designers, artists and creators to develop truly original timepieces. Check back; some go fast. 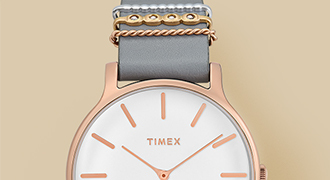 The Good Company for Timex is a unique collaboration that brings a fresh twist to our classic MK1 style. 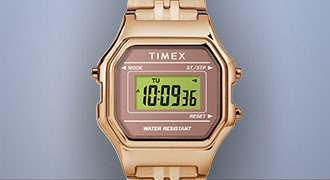 We brought a smile to our watch (faces) in our latest collaboration with Chinatown Market. This item has sold out! Come back soon to see new, exciting collaborations. 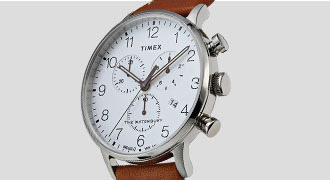 Timex has teamed with It's Nice That to design a new watch that updates a military-inspired classic with a contemporary twist.